At Fresno Dental Professionals, we believe that creating lasting healthy smiles starts early.Our dental team is passionate about providing exceptional children’s dentistry. From educating parents on the best at-home hygiene practices to preventing cavities, our experienced dentists provide comprehensive, kid-friendly dentistry tailored to young smiles. At our Fresno, CA practice, your child’s care will be in good hands with our mixture of a comfortable atmosphere, gentle dental procedures, and caring staff. Oral health begins well before a child is even born. While in utero, the baby’s teeth begin to develop. As a result, the mother’s oral health can influence the child’s future dentition. For expectant mothers, our Fresno kid's dentists recommend coming in for more frequent cleanings to ensure oral health for the mother and child. In addition to discussing the mother’s own oral health, our team will also discuss familial dental health histories to determine whether certain inherited traits might affect your child’s smile development. Once the child is born, there are certain steps we recommend parents take to ensure healthy gums and healthy tooth development. Once the first tooth comes in, we encourage parents to visit our Fresno dental team for the first check-up. During this appointment, we’ll go over at-home hygiene steps, nutrition, and will evaluate your child’s developing smile. As your child’s smile begins to develop and lose primary teeth, our family dental team in Fresno continues to monitor their changing smile. By using kid-friendly language and hands-on demonstrations, we make dental visits a comfortable learning experience for young patients. These visits also allow our dentists to provide preventive treatments that protect still developing smiles from cavities and other serious health conditions. 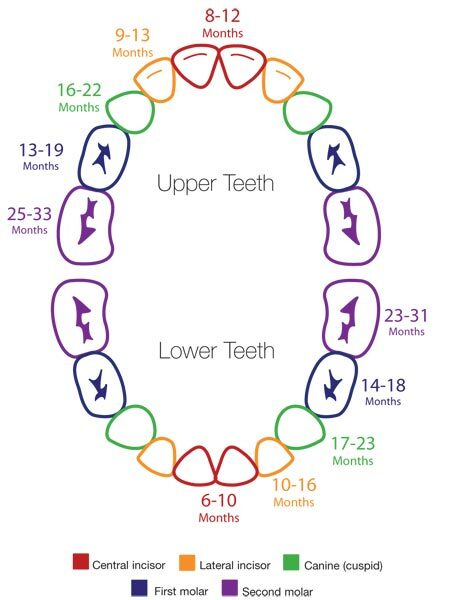 Our goal during these appointments is to help your child better understand the importance of healthy teeth and learn the right techniques and diet habits for future oral wellness as they transition from baby teeth to an adult dentition. Thorough examinations and cleanings every six months also allow our dentists to keep an eye on changes in smile development and determine whether additional treatment like orthodontics or wisdom teeth extraction might be needed in the future. Our family-oriented dental practice is dedicated to helping patients at every age keep and maintain a healthy smile. By creating a patient-focused environment, we are able to help children learn the right skills and achieve a life-lasting healthy dentition. Contact our team at Fresno Dental Professionals today to schedule your child’s next cleaning.